It’s Saturday morning and I’m 2 kilometers from Route 21 in Nicoya, in a small village called Obispo de Mansión. 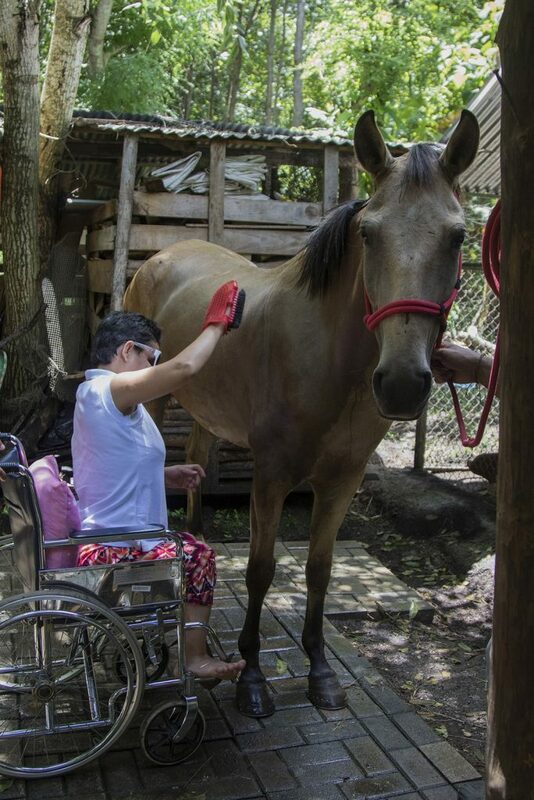 Underneath the shade trees in the middle of a forest is an alternative therapy center that uses horses to treat patients with various diseases and disabilities. 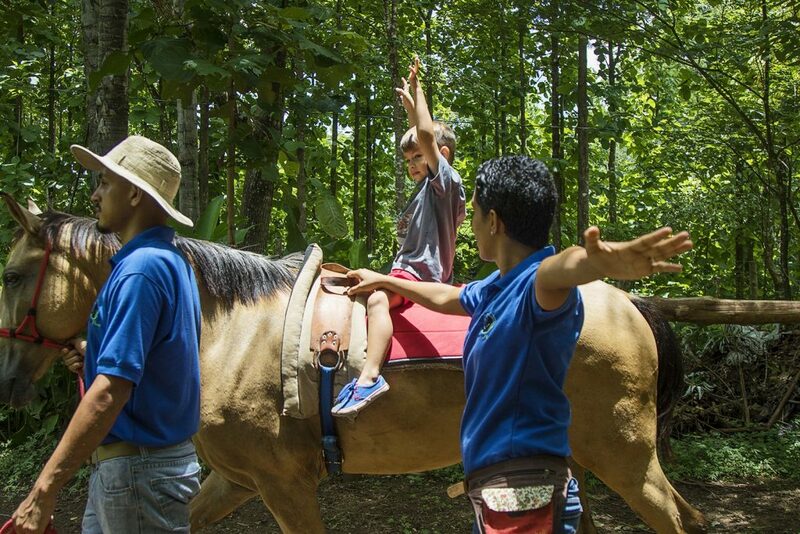 I’m on the Castillo Rodríguez family property at the Centro de Equinoterapia Facundo, which promotes the neuromuscular, psychological, cognitive and social rehabilitation of children, adolescents and adults using horses as a therapeutic tool. 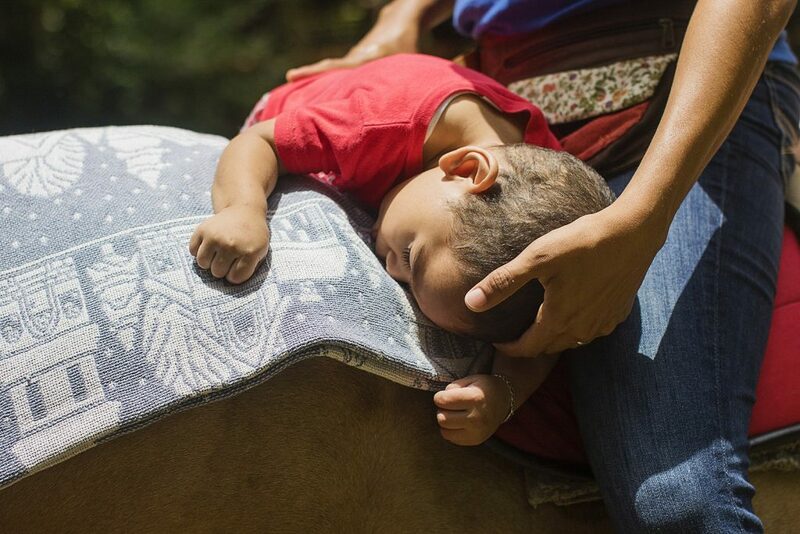 Melania Castillo is the center’s certified equine-assisted therapist and mother of Facundo Céspedes, a 4-year-old with spastic cerebral palsy. It was because of Facundo that Melania began her current career. 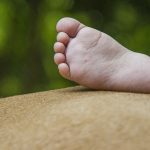 “Being able to help others, seeing a child arrive unable to control his or her movements and then, as they get to know you, being able to make them smile, that doesn’t have a price,” Castillo said, a tear running down her cheek. 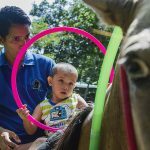 Equine-assisted therapy has three tenets: the transmission of corporal heat from the horse, which reaches 39 degrees Celsius and is excellent for stretching and relaxing; the transmission of rhythmic pulses, as each step transmits 110 impulses that are felt in the horse’s back; and a tridimensional marching pattern that is created while the horse walks and that pulsates upward and toward both sides. The sensation isn’t perceived immediately, but rather is a slow process requiring persistence, perseverance and commitment. 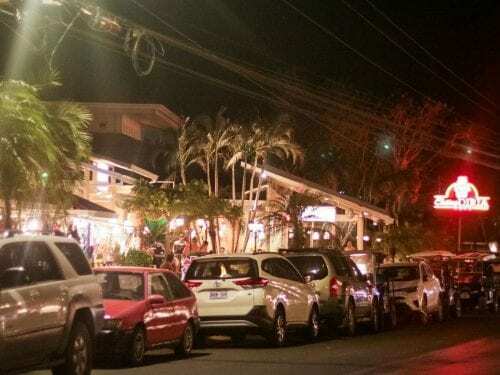 A patient should visit at least three months before seeing progress, but many of them don’t return after the first few sessions, Castillo said. 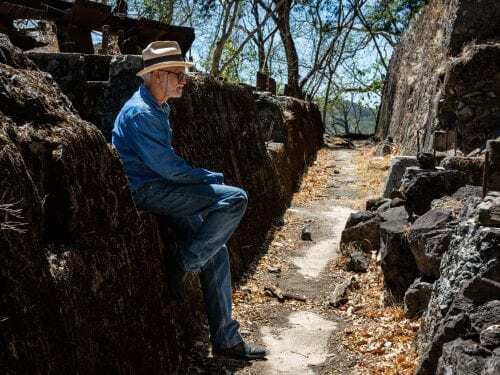 The center opened one year ago, in September 2015, and since then it has received patients every week who are interested in trying out a therapy that’s new in Nicoya. 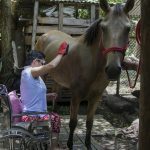 Equine-assisted therapy helps patients with cerebral palsy, multiple sclerosis, hemiplegia, mental and psychological disorders, autism, Down’s syndrome, Asperger’s syndrome, learning difficulties, attention deficit, hyperactivity, behavioral problems, social adaptation, diet disturbances, or simply functions as a relaxation method. 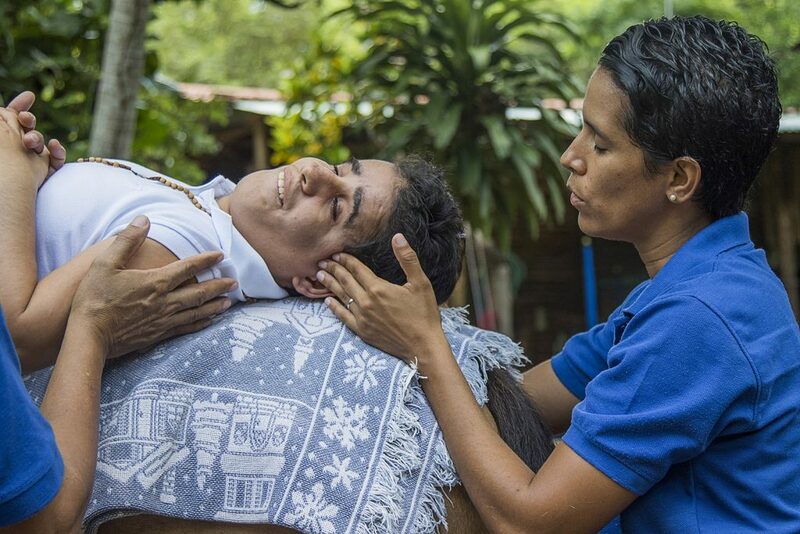 The natural sounds of the Nicoyan forest help patients relax as soon as they step out of the car. 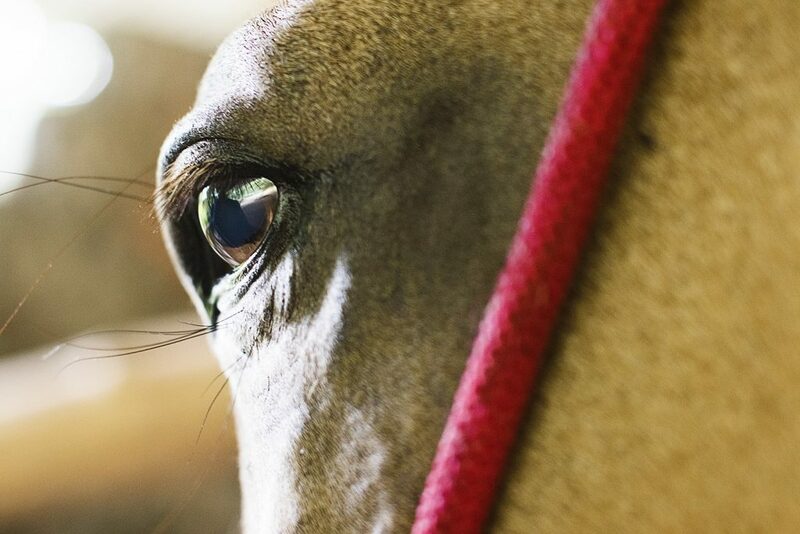 Horses are very sensitive and can perceive when someone is nervous. When that happens, they also become nervous. At the start of a session, a therapist must transmit confidence and safety to a child so she can adequately receive the benefits. If a horse feels at peace with the team, it will react accordingly. Not any type of horse can be used for this kind of therapy. 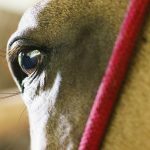 Horses need to be calm and docile with broad, smooth steps. 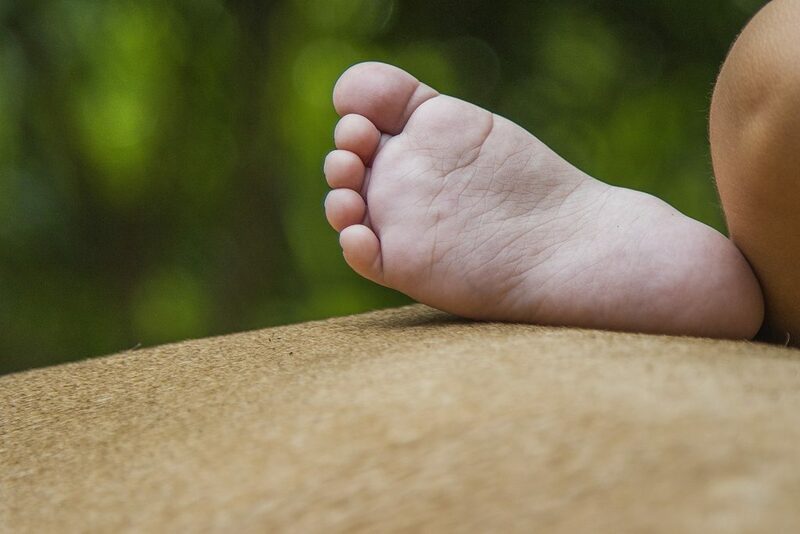 Height also plays an important role so that therapists can hold and provide security to the patient. 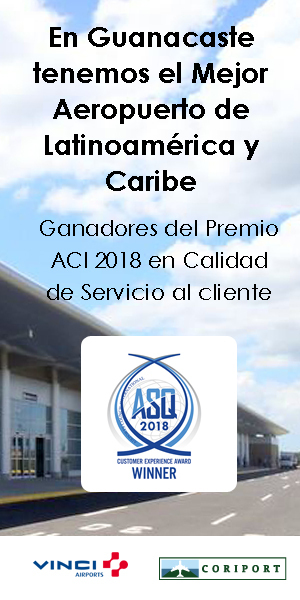 Fabián Blanco, 2, has cerebral palsy, hydrocephalus and cortical blindness. He has attended therapy twice a week since March. His mother says it has helped significantly improve his posture. He now better controls his body’s core and is completely relaxed after a session. He also has begun to form words, his mood has improved and he sleeps better. Melania Castillo and her brother Gabriel take advantage of free time between appointments to take a ride with 3-year-old Lucas Céspedes. 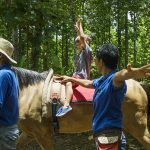 Lucas enjoys the rides and takes advantage of the equine-assisted therapy that his mother offers in the middle of the forest. 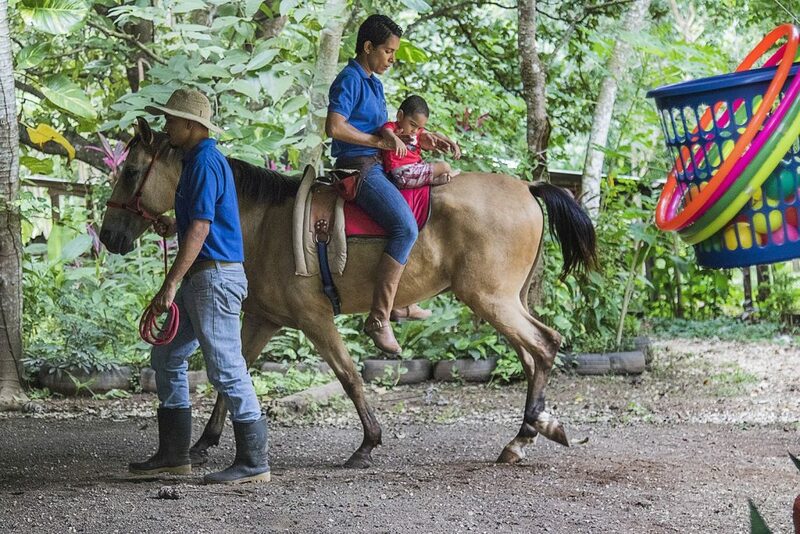 For three years, Castillo traveled every week with her son to the province of Alajuela, until one day she decided to become an equine-assisted therapist, traveling to Mexico for training. 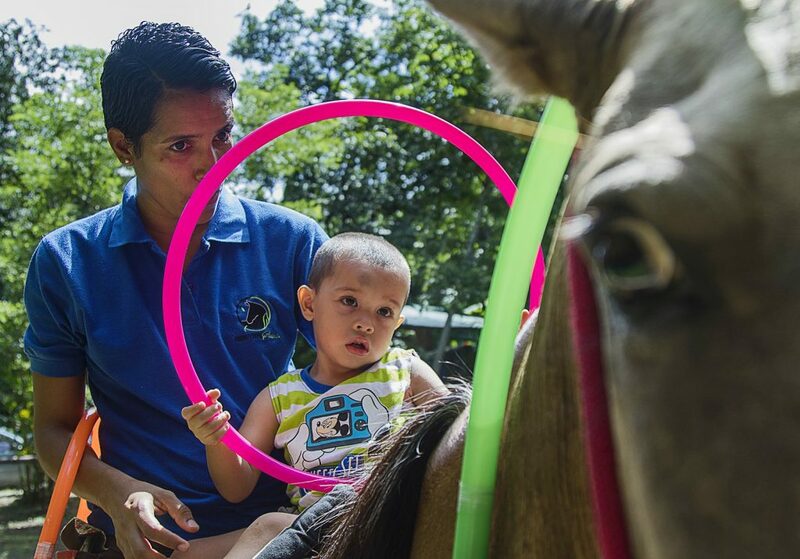 Caleb Venegas, 2, began therapy a month ago. At first he was untrusting and frightened, but the team was patient, allowing him to become comfortable with the animal. After 40 minutes, Caleb completed the exercises with no problem, and he even smiled. 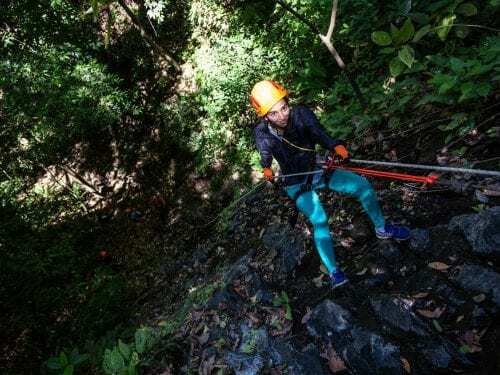 Diana Arnaes, 29, who has congenital glaucoma, muscular atrophy, bone malformation and cerebral palsy, began attending in May. 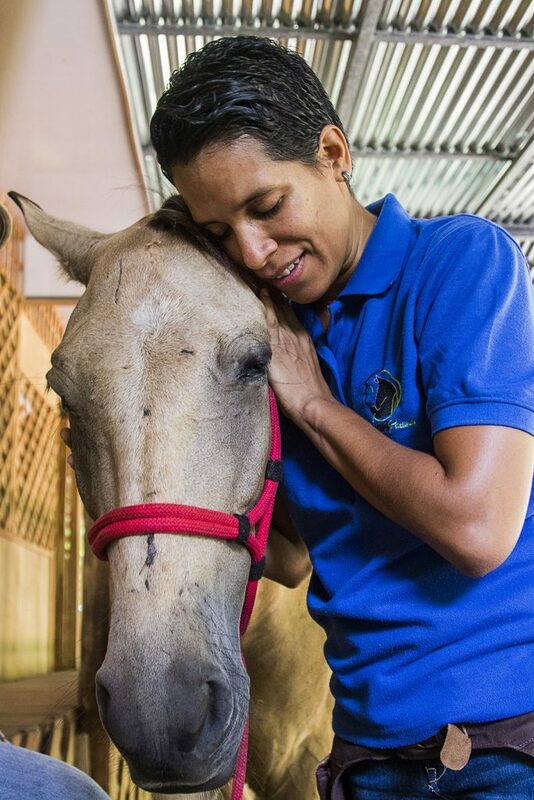 Her mother says Diana loves the contact with her horse and finds the energy contagious. 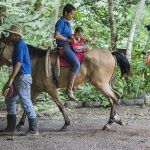 Her favorite part of the therapy is being in nature with the horses, flora, birds, monkeys and the different sounds of the forest, which transport her to a calm and peaceful place. 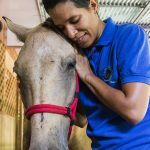 Equinoterapia Facundo isn’t a typical stable, and horses are treated with respect and admiration. Saddles aren’t used, and all of the sessions begin and end with hugs for Sultán and Campanilla, the two horses used. Diana ends each session by giving Sultán, her favorite horse, a cool bath.